In Yekaterinburg, "Innoprom - 2018" ended. Traditionally, Tatarstan represented its stand at the exhibition, and the delegation of the republic, headed by the President of Tatarstan Rustam Minnikhanov, took part in official meetings in the frames of "Innoprom". In particular, state corporation "Rosatom" and Republic of Tatarstan signed a roadmap for cooperation development. The signing ceremony took place at the stand of the republic. 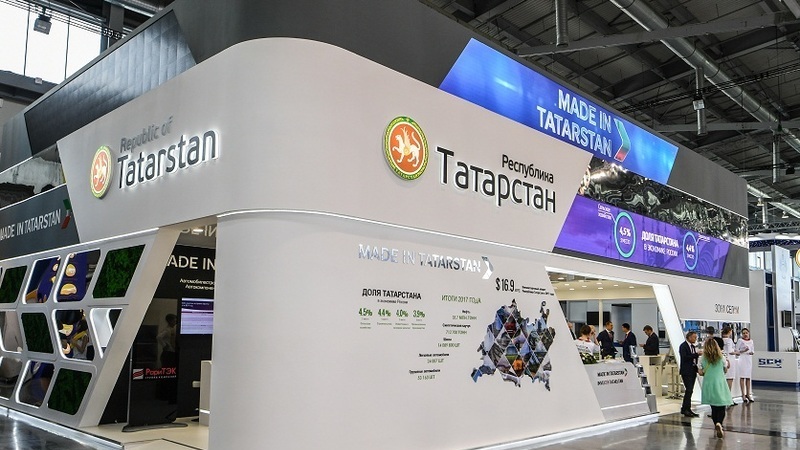 Signed road map involves the formation and consideration of proposals of expansion of high-tech products of the enterprises of the Republic of Tatarstan, including import substitution, in the interests of the state сorporation "Rosatom". As a result of consideration, it is planned to include the production of the republican enterprises into the Nuclear Industry Uniform Catalogue of the equipment and materials, as well as to hold project retreat till the end of 2018, where the promising areas and ways of cooperation will be considered. On the sidelines of the exhibition Rustam Minnikhanov met with the heads of a number of Russian regions: acting Governor of Nizhny Novgorod region Gleb Nikitin, Governor of Chelyabinsk Region Boris Dubrovsky, Governor of Sverdlovsk Region Evgeny Kuyvashev. The meetings resulted in the signing of agreements with Nizhny Novgorod region for 2018-2020; plan of action on the implementation of the cooperation agreement with Chelyabinsk region for 2018-2020; the protocol for the implementation of the agreement with Sverdlovsk region for 2018-2020. Innoprom is Russia's largest universal industrial exhibition, which annually involves more than 600 companies, world leaders of industry are among traditional exponents. Innoprom 2018 is the ninth exhibition, the theme of which is "Digital Manufacturing". This year, the partner of the exhibition is the Republic of Korea, representing the achievements of the leading sectors of Korean industry, innovation developments and prospects of technological cooperation. In parallel with Innoprom, on the territory of International Exhibition Center, Russian-Chinese EXPO is held for the second time.